After signing all my publishing forms and contracts, we’re taking a well deserved break today and visiting with family. My sister is visiting from Seattle, and it’s lovely to see her, even if my little boy did offend her by telling her she was a little boy. Of course, he then told her she was Winnie the Pooh, and called her Pooh all day. She said it was less offensive then being called a little boy! As soon as I start working with an editor or artist on the cover, I’ll be sure to update you all! I guess now I’ll go play with my little boy and the other not-so-little boy who is actually a girl! Saturday Poll: What Makes You Buy a Book? 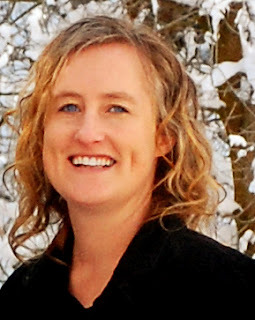 Today, I’d like to welcome Cindy M. Hogan to The Literary Mom. Cindy is the author of two YA thrillers, Watched and Protected. Not only is she here to discuss writing, but also the idea of violence in YA literature as well. Cindy has agreed to return to the blog and answer some of your questions later tonight! So just post your question as a comment and hopefully she’ll get to yours! *Note: these books contain graphically violent images that may be inappropriate for some readers. Please use your own discretion. Thanks so much for being here today, Cindy! Me: Can you tell us what a day for you is like, in terms of writing? Cindy: Since Protected hit the shelves, I’ve had a very sporadic writing schedule. It’s frustrating because book 3, Created needs to be done by the end of this month. My distributor has me signing at Costcos every day from 11-6 except a few when I spoke at a writer’s conference and signed at Barnes and Noble and The King’s English Bookshop. It’s a good thing I wake with the birds at 5 am. I usually get an hour in then and when I get home around 8, another hour. I write in a room that is full of windows. I love having the feel of being outside while I write. I actually brainstorm my stories as I walk in the mornings. I talk into a recorder and then type away when I get home. I’m a pantser. I never outline. Me: Can you tell us a little bit about what it’s like to be a self-published author? Cindy: I self-published myself. I found a distributor who asked to distribute my books. I found a printer to print them. The hardest part about self-publishing is finding the money to print your books. The first print run of my books flew off the shelves, so I had to come up with more money to print again. You might be thinking, “But your books flew off the shelves. Didn’t you make anything?” The answer to that is a resounding “Yes!” However, you do not get paid for those sales for four months after they happen. I had to do 3 printings before I got paid. Finding that kind of money was a challenge. Me: In your first YA thriller, Protected, you chose to portray the violence “on camera” in a graphically descriptive scene, instead of just alluding to the fact that your character had been a witness to a violent act, or even using a less descriptive scene. How did you come to this decision? Cindy: In truth, I my first draft of the scene was quite tame. Not because I didn’t want to show the violence, just because it came out that way. When my critique groups got a hold of it, the nurses in my group described how it would really happen, so, I took their instruction and rewrote the scene. Now it is as realistic as possible. Cindy: I didn’t realize she had made that social comment. I think that to a great extent she is right. If you watch prime time TV, which I rarely get a chance to do, it is saturated with violence. Me: Do you have any words of wisdom or advice for my readers hoping to publish a book? If you could go back and talk to yourself when you were just starting out, before you had any success, what would you say? Cindy: Funny. For Nanowrimo this year, I wrote a self-publishing book because I didn’t want any other writer’s to have to slog through the mess I had to. I wanted to give-back, alas, I haven’t had any time to edit it, yet. One day. I do, however, suggest you pick 3-4 popular “how to self-publish” ebooks and read them before you decide to go this route. It is not for the faint of heart. While many of my traditionally published friends have been shocked at the meager performance of their books, still many more of my indie published friends have felt the same way. It’s hard work to make it either route you choose. While luck does play a role, there is a strategy to be learned. Some of that learning comes from trial and error. I would never go back, though. I love being a self-published author. It suits me. Remember, everyone, Cindy has agreed to answer some questions tonight, so if you have one for her, please leave it in the comment section! Okay, everyone. The contract has been signed by both parties and I’m free to make as many announcements as I want! I signed with Etopia Press! My book should come out sometime in August or September. It will be in e-book format first, with the print book to be released no later than three months after the e-book. As I’m sure you’ve already realized, I decided to go with a small press. I actually feel very confident about the decision for several reasons. One, this particular small press has a strong name, with a good sales record. I talked to several of their authors and they are all very happy. Two, they have an award-winning cover art department. Three, they have a reputation for having excellent editors. Four, they were willing to make changes to the contract to make me happy. And five, they expressed interest in publishing the entire series that I have planned. I also talked with one of the agents I am friendly with, and she urged me to take the offer. She said not only would it be a publishing credit, which might help me land an agent for my next book, but I would also gain experience working with an editor and publishing company, which could prove to be invaluable. So, all in all, I think I made the right decision! In fact, I couldn’t be more excited! Etopia is already setting me up to do publicity interviews, as well as getting me started on edits. And you already know I’ve been working on the art and marketing forms. I think I’ve got my short blurb just about done. Now it’s on to the long blurb! I would like a little advice from you guys though… One of the questions on the art form asks if there is anything I specifically DON’T want on my cover. This is a YA fantasy (an epic fantasy) and I am toying with the idea of saying I don’t want any of the characters on the cover, or at least any of their faces. What do you think? Do you like to have a character depicted on the cover of the book you’re reading? Or would you rather have it left to your imagination? Vote on Your Favorite Tagline for the Cover of My Book! Okay, I can’t promise it will be on the cover, but I can promise that I will submit it to my editor! My book is a YA fantasy, titled Drive Back the Darkness. The tagline will be on the front cover somewhere below the title. Which one do you think would make you most likely to want to read it? And let me tell you, they are NOT easy. I always thought writing a synopsis was tough, but it is nothing, NOTHING, to writing a tagline. My tagline can only be sixty CHARACTERS long. And yes, that includes spaces and punctuation. *Sigh* I think I was dreaming about taglines last night. Other than that, the forms are kind of fun. They ask a bunch of questions about my book that I hadn’t really thought about, like: what words would you use to tag your book for a search engine? Are there any interesting visual elements in your book that might make a good cover? What scene in your book is most representative of the unique personality of you book? It’s fun to think about and imagine what the cover is going to looks like. I Just Signed with a Publisher! There is no saturday poll today, because I’ve been busy signing my publishing contract! That’s right! I did it. I signed the contract and sent it back. My YA fantasy, Drive Back the Darkness, will be published in both print and e-book form, hopefully in August/September. I’m going to be a published author! When the publisher sends back their signed copy of the contract, I’ll give you a little more information! This is so exciting!